Scrumptious Easter recipe from Chef Mynhardt | Eat. Play. Drink. Cape Town. 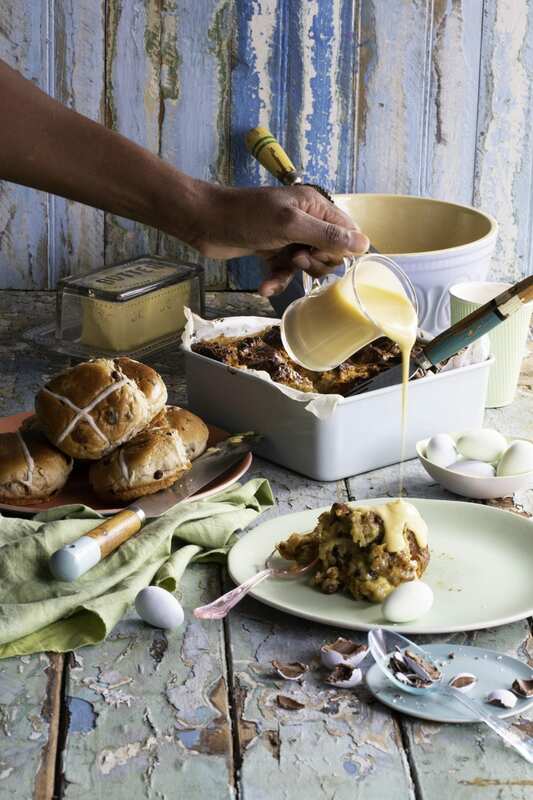 EVERYTHING about Chef Mynhardt’s dish just shouts Easter – hot cross buns and chocolate all mixed up in a wonderful hot sticky combination. This recipe creates a silky custard that lines the bottom of the dish. Serve with homemade ice cream or custard and flavour with a shot of brandy for extra decadence. 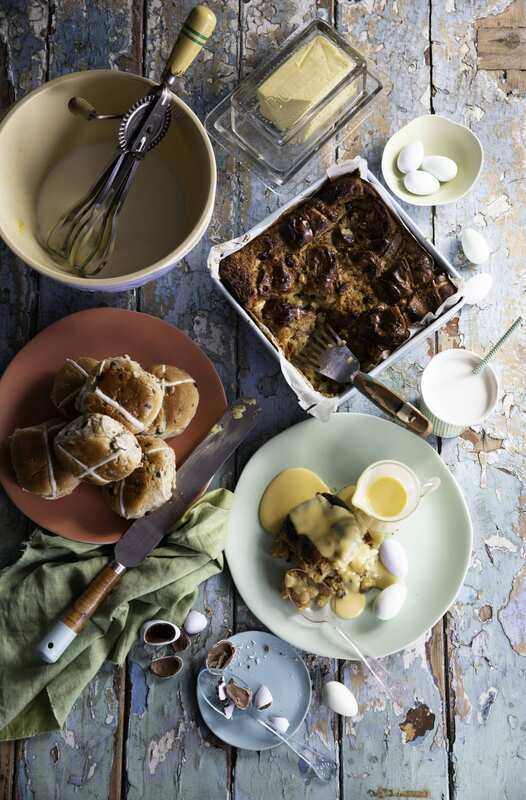 Slice and generously butter 12 fresh hot cross buns and arrange in a buttered baking tray. Combine and heat 500 ml of cream and 250 ml of milk. Add 1 tablespoon of vanilla extract or two scraped vanilla pods, if available. As soon as the liquid is warm add 300 g of white chocolate and stir until everything has melted together. Bake for 30 to 45 minutes at 180 degrees Celsius or until set.